The Ornamentalist: Studio Visit: Masao Hanawa | Salon Tokyo! 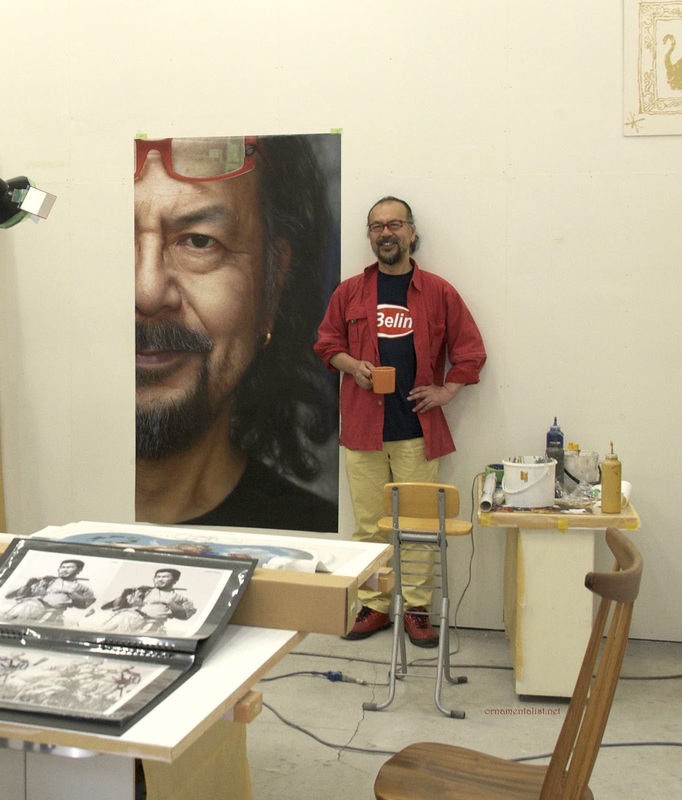 Studio Visit: Masao Hanawa | Salon Tokyo! I recently returned from a trip to Tokyo where I participated in a unique event known simply as "Salon." 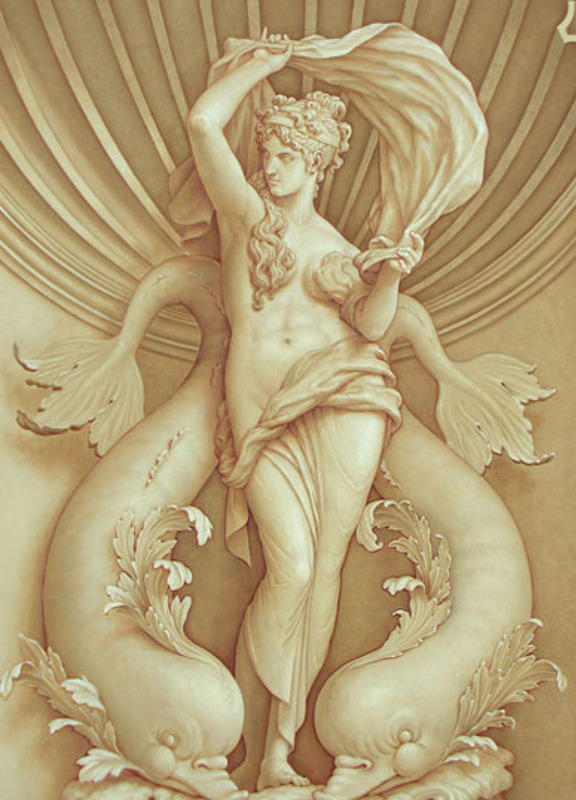 Each year in a different city, decorative painters and muralists from all over the world gather to exhibit their work, demonstrate techniques for each other and the public, exchange ideas, and of course, party. 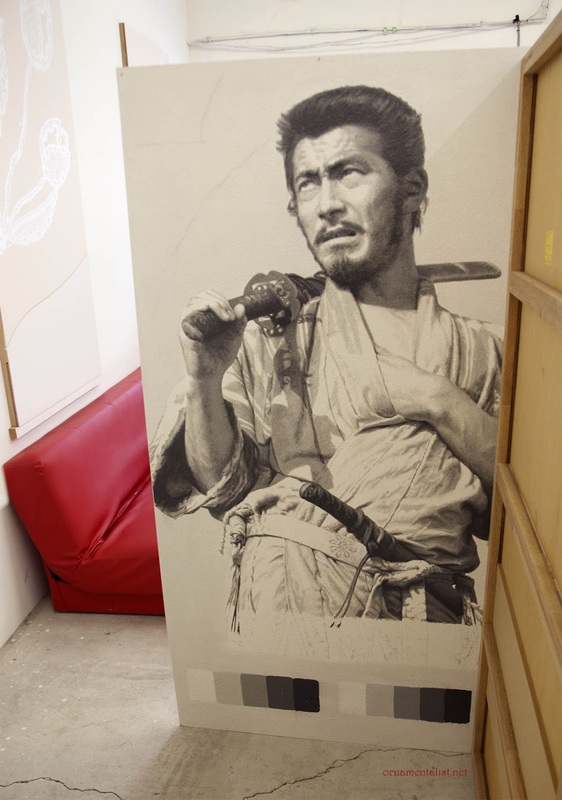 SalonTokyo 2013 was brilliantly hosted by the fabulous Yaeko Kurimata, my friend and colleague on the other side of the Pacific, whose studio I visited in 2009.
my exhibit panels for Salon Tokyo featured a Yomuiri Giants (Tokyo) baseball player and Toshiro Mifune from the Kurasawa film "Seven Samurai" painted on copper-gilt canvas. Though I have not attended Salon in some years, I do credit this annual event with having introduced me to some great comrades-in-paint, among them Pascal Amblard, Alison Woolley, Lucretia Moroni, Karl Groissenberger, Niels Jongdahl and so many others! East Meets West in Niels Jongdahl's' masterful trompe l'oeil painting. In a business that can be terribly competitive, closed, and often lonely and demoralizing, Salon participants tend to be open, appreciative, happy to share, willing to argue, and above all supportive of each others art practice, which I believe comes from the assured confidence of someone who really knows their craft and loves their work. 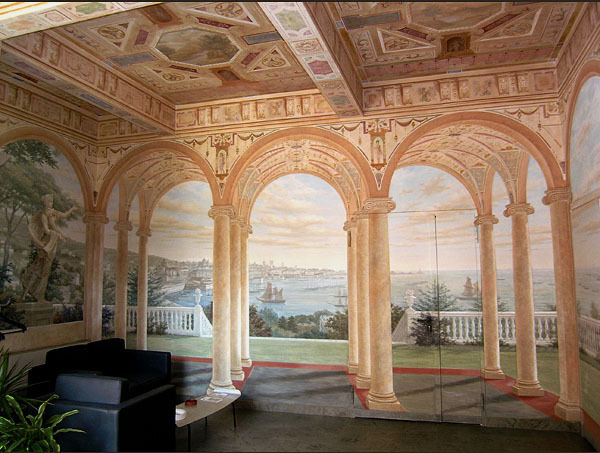 and fell instantly and desperately in art-love with it, and incidentally with whomever is responsible for painting it. 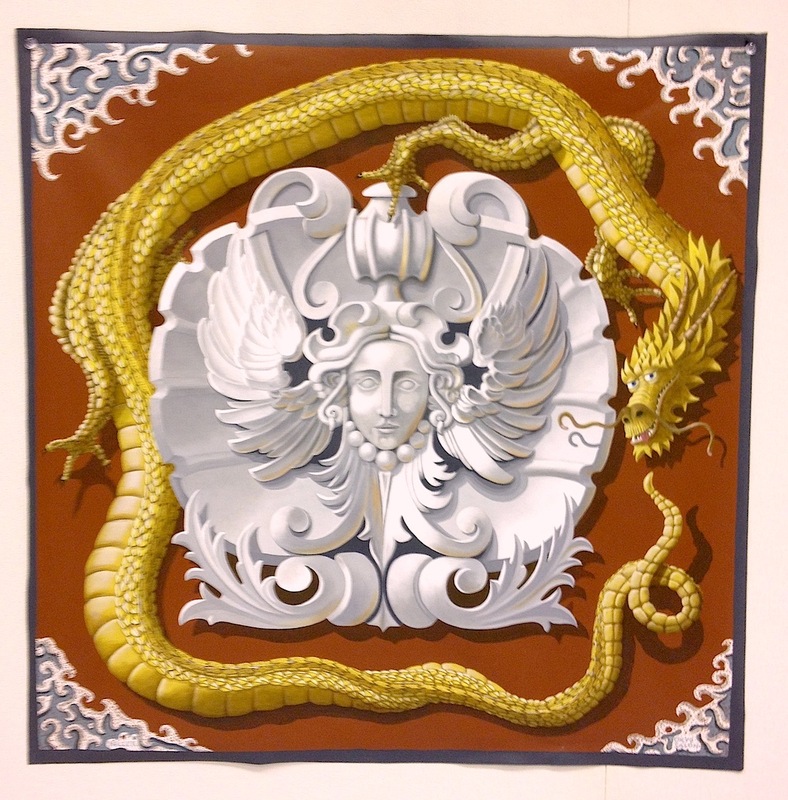 This is my kind of painting: surreal-scaled, detailed, a bit unconventional, and beautifully painted. 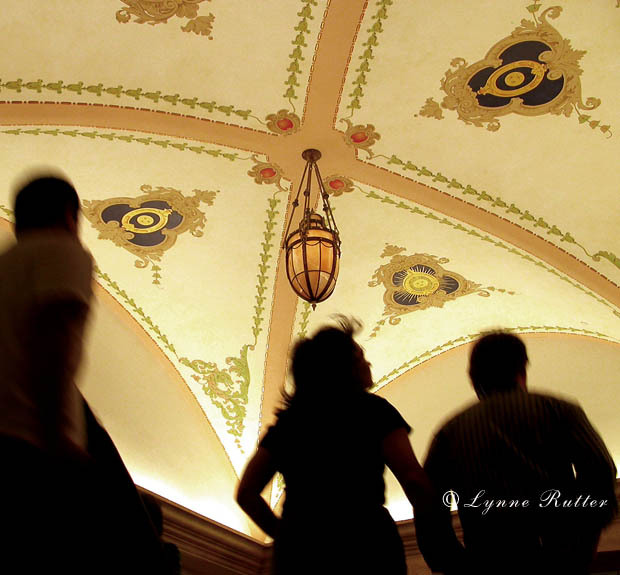 I was stunned and elated while fellow painters gathered around it, arguing about how it was painted and with what medium or tools. 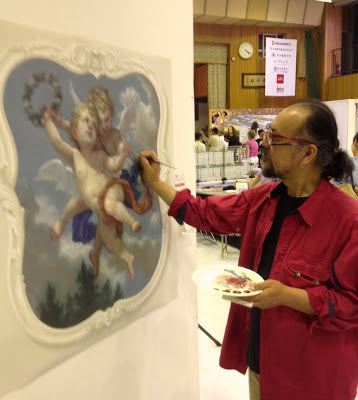 The next day I found Masao-san painting a Boucher-esque panel of cherubs and worked up the nerve to talk to him. 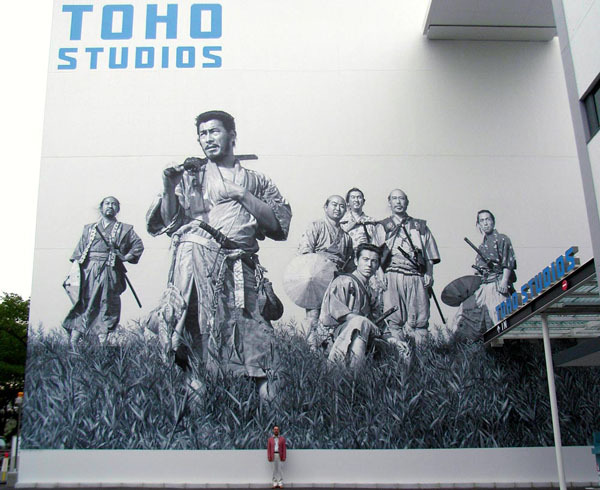 He showed me his portfolio which features a gigantic ~80 foot high mural (see above) of the Seven Samurai painted on an exterior wall of Toho Studios, (are you sensing a theme here?) and from there we had a very easy conversation which continued throughout the week and revealed many other shared interests. 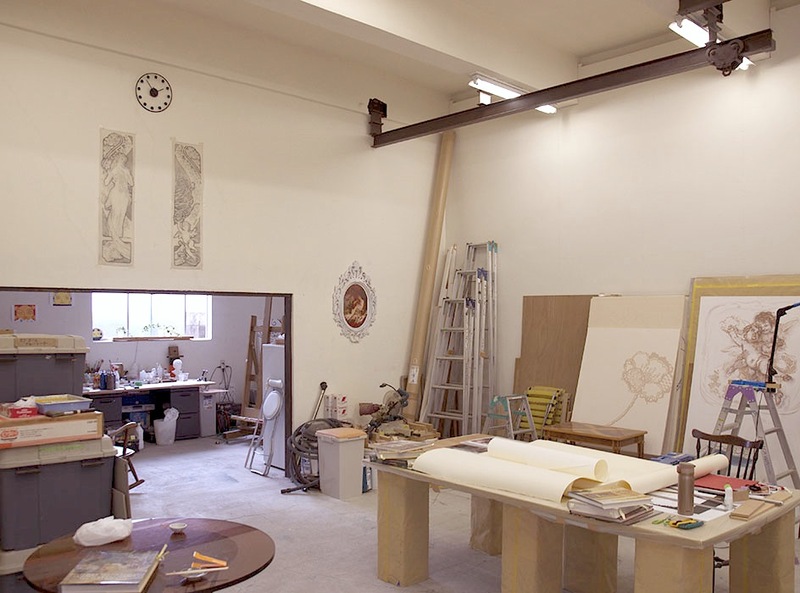 After Salon ended and the participants reluctantly parted ways, I had an extra day in town and was able to make a short visit to the Atelier Hanawa. I like visiting the studios of other muralists when I travel- I find it gives me some insight into the process; what do we have in common (storage issues!) and what space-saving or cool tips can I pick up - or share? Masao-san has painted enormous amounts of trompe l'œil and fresco-style murals for Tokyo DisneySea and many other commercial spaces as well as a masterful oil paintings in the Northern European tradition. He also spent several years living in Genoa, Italy, painting and restoring mural work there, and furthering his skills in classical European style painting. 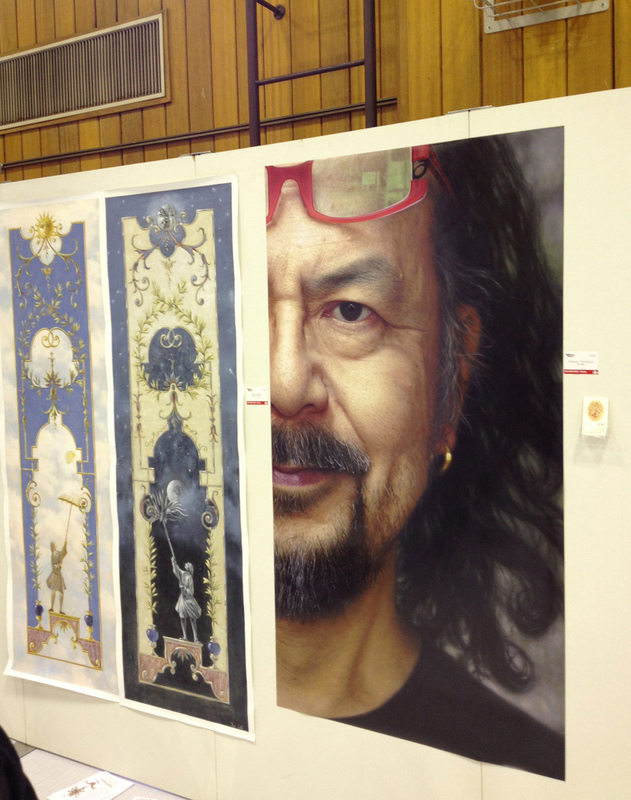 You should visit m-hanawa.com for many more stunning examples of his accomplished painting style. Thank you so much for sharing this...my heart did flutter when I first saw a photo of that painting! Niels work also sets the bar high! Thank you for introducing me to Masao Hanawa! 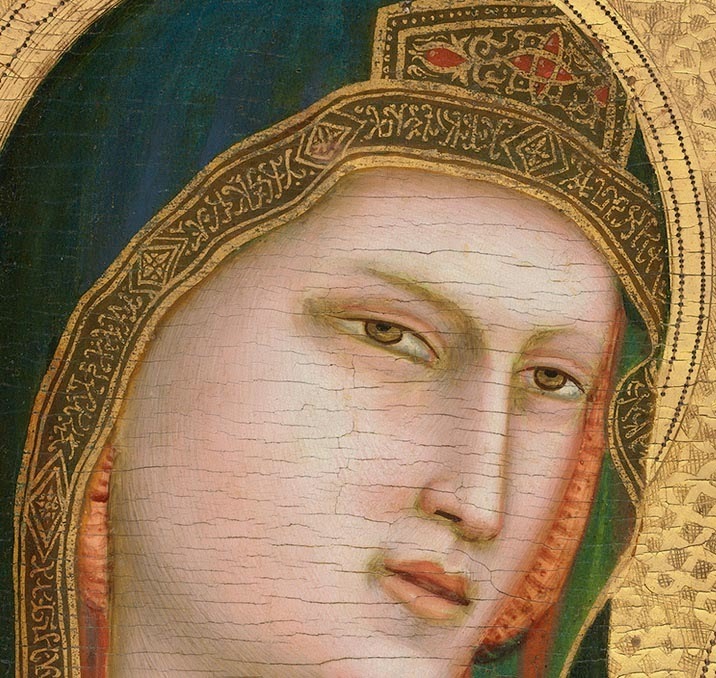 The examples of his work are stunning, and I'm on my way to exploring all the links you've provided. You take the best trips! Thank you for sharing, Lynn...wish we had gone with you to his studio!